Winter this year has and still is, a white wonderland. There have been many opportunities for everyone staying at the Chalet to Ski, Snowboard and carry out many other activities. 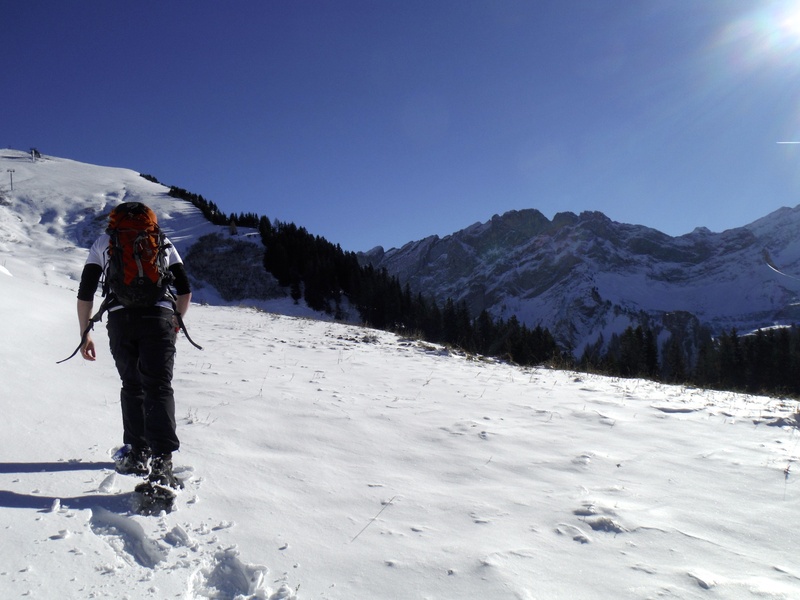 From neighbouring village Barboleuse, and local town Villars there are tele-cabins taking you up to a variety of pistes. 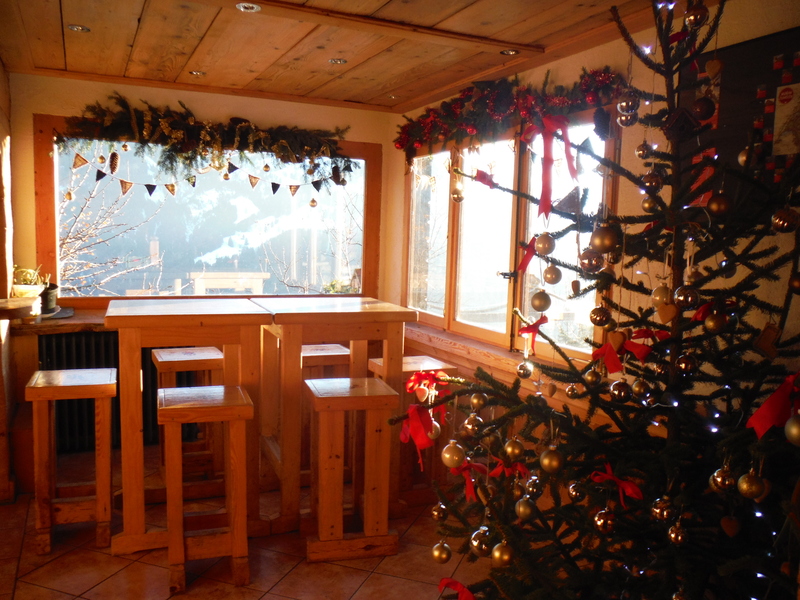 The Christmas of 2013 was celebrated by decking the chalet with greenery and baubles throughout, and spending time with loved ones. It was a busy environment yet still cosy. The many stories from 35 people, both french and english, made their way around the dinner table as our three course dinner was in progress. The christmas tree this year has seen many guests in and out of the chalet, both long stays and the short. All taking away brand new stories to tell at their next dinner table. The traditional Boxing day walk was replaced with an afternoon snowshoeing. Many others went Cross Country Skiing or sledging. We all made it back to the chalet where there was a thick hot chocolate waiting. The evening was spent all together playing a variety of games the chalet has in the living room in front of the fire. For New Year Eve, some dressed up as field mice and some as polar bears and they gathered together and explored the lit up, musical town of Villars. Back at base camp, New Years was seen in singing old lang syne surrounding a glowing amber bonfire, watching the clear, starry sky being lit up with explosions of bright light. With our glasses full of local bubbly we were surely set for the New Year. 2014. 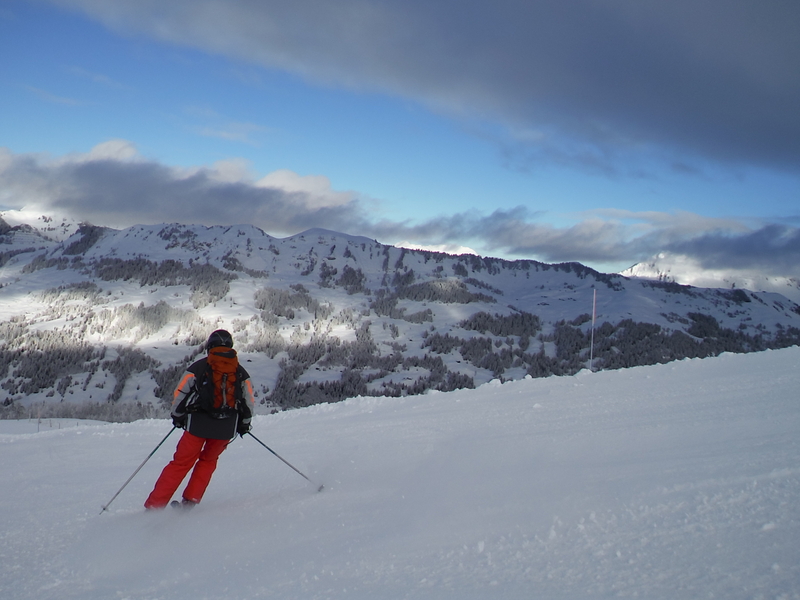 However, the first day of 2014 was spent up a local mountain piste, Roc d’Orsay (2000m). 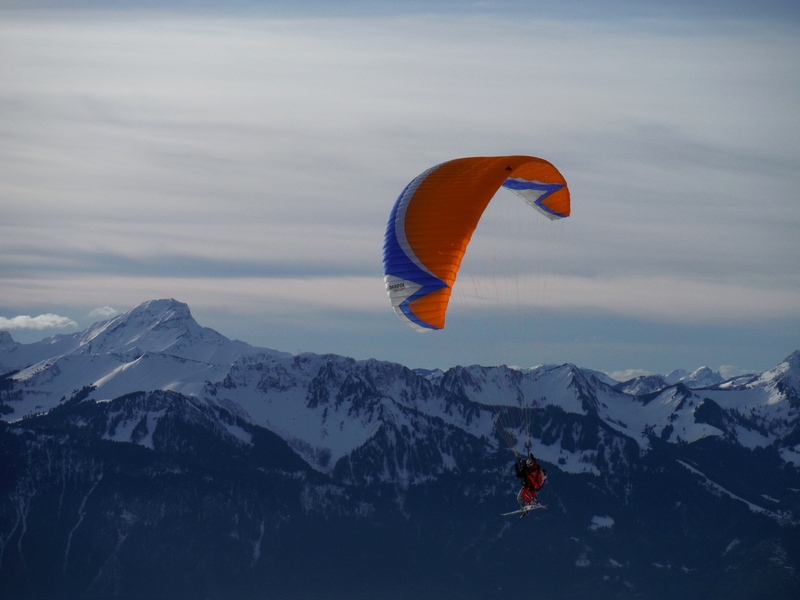 The cold air filled our mind as we took off paragliding. Slowing gliding over the surrounding mountains inhabited by mountain goats and skiers you sure do get a beautiful view. Bring on 2014… .holly.